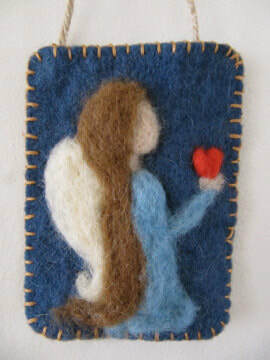 Felt is made from wool and is one of the oldest textile arts. Needle felting uses a special "barbed" needle and dyed wool to create unique two-dimensional as well as three dimensional works of art. Alyssa Surabian will share her love of needle felting in several one-day workshops this fall at Casa de Linda Art Studio that includes an adorable little kitty cat, a pretty wall hanging and an assortment of Christmas ornaments. We do want to warn you...once you've tried needle felting, you might just get hooked! Workshop I: Sunday, Nov . 12, 1:30-5:30 p.m.
Workshop II: Monday, Nov. 13, 9 a.m.-1 p.m.
Fee: $75 per 4-hour workshop; includes all supplies and use of tools and equipment. Description: Once students learn the basics of felting using dyed wool and a barbed needle, they are set free to explore their own creativity and make as many ornaments as time allows. On average students have made 4 to 5 ornaments in a class…just in time for decorating for the holidays or to give as special gifts! May be repeated if desired. Alyssa Surabian has loved making beautiful things since she was a little girl growing up near Boston, Massachusetts. Now decades later she finds herself in central Texas and all grown up, but nothing has really changed. She is still at her very happiest when she gets the time and space to create. In the intervening years she's picked up a massive amount of experience in needle felting, watercolor and acrylic painting, wood burning, knitting, and other various fiber arts. Alyssa currently shows her various works at the Bent Tree Gallery located in downtown Wimberley. A natural teacher, Alyssa has also spent countless hours leading art classes for both children and adults. Most recently she has set her focus on teaching needle felting in the Austin/San Antonio area, and her classes have become very popular. 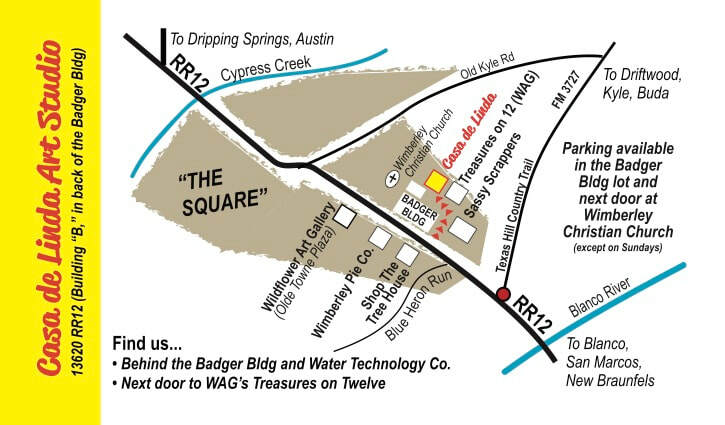 Now living in a tiny house near Wimberley, Alyssa is a very active member of the Wimberley Valley Art League, where her paintings and needle feltings have received several awards.